The most ambitious attempt to see main line steam locomotives return to regular freight service was the ACE 3000 project of the 1980s. It was first conceived by Ross Rowland, Jr. during the 1970s as the United States saw gas and petroleum prices skyrocket due to an oil embargo. 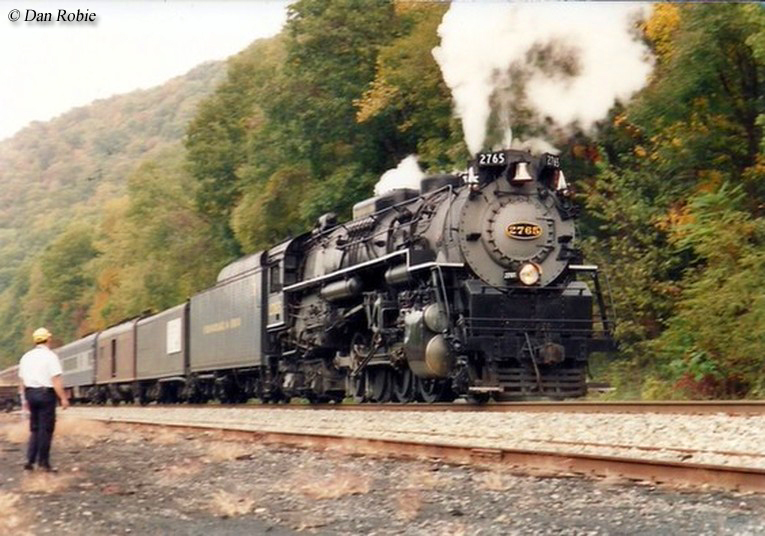 Rowland, which had overseen the restoration of steam for use on the American Freedom Train, Chessie Steam Special, and other events during that time period was convinced the motive power could be reborn for use in road service. He formed a new company, the American Coal Enterprises and set about soliciting his idea to railroads, engineers, steam professionals, and other companies in the field of steam/boiler technology. The idea picked up significant traction during the early 1980s with several backers lined up. Sadly, bickering and a lack of funding doomed the project, which had withered away by the middle of the decade. By 1980 Ross Rowland was a well-known figure that had made numerous connections within the railroad industry thanks to his efforts in restoring Southern Pacific 4-8-4 #4449 and Reading 4-8-4 #2101 for use on the American Freedom Train. He was also popular within the railfan community for this reason as well as other steam restorations including Nickel Plate Road #759 and Chesapeake & Ohio #614 (used on Chessie System's Chessie Safety Express). Using these contacts and a belief that steam could not only be a cheaper and more practical means of powering freight trains (again) but also more environmentally friendly Rowland gathered a small team of experts and formed the American Coal Enterprises (ACE) in December of 1980. Much of Rowland's belief of a revived steam renaissance stemmed from more than just the economics. 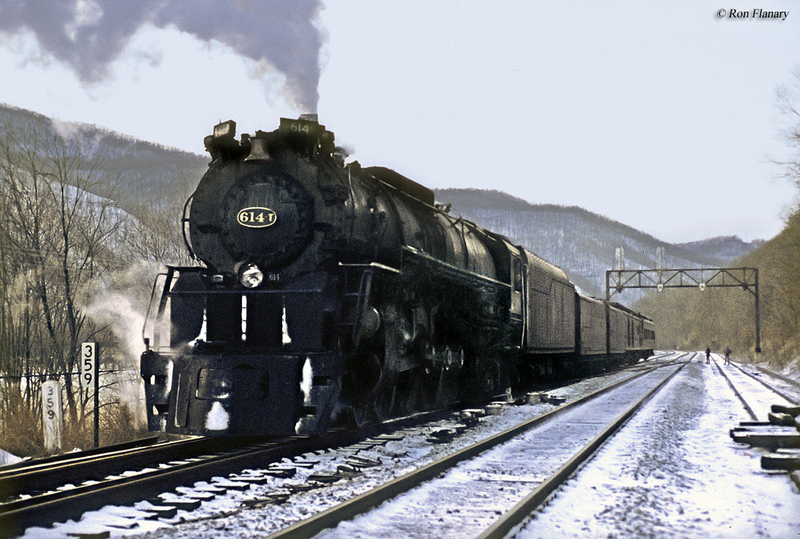 The C&O's Class J-3/a 4-8-4 "Greenbriers"
As he correctly stated, steam manufacturers during the 1940s had never, truly taken the technology to its greatest level of efficiency due to the very fast development of the diesel during the 1930s and 1940s. Additionally, as Bill Withuhn had pointed out in a long, 13-page article/thesis "Did We Scrap Steam Too Soon?" from the June, 1974 issue of Trains builders had also become lazy and complacent in advancing steam power to effectively compete against the diesel (giving up on research and development by the end of World War II, offering virtually no advertising for its products, and doing little more than criticizing General Motors' new FT model). For instance, during exhaustive tests by the New York Central during 1946 between a 4,000 horsepower set of diesels and a Class S-1 Niagara the cost-per-mile margin between the two was actually quite small. It was also argued that the NYC's 4-8-4s, in this instance, offered "more horsepower per dollar of total expense than the diesel." However, by that time the diesel had an added advantage of perception; it was seen as the wave of the future while steam was looked at as outdated. Overall, Withuhn's article is quite fascinating and highly recommended although far too long and detailed to cover further here. Of course, diesels had another advantage; less need of infrastructure (water towers, an army of workers to maintain the locomotives, terminals every few hundred miles, etc.) that hampered many railroads' desire to continue running steam. However, by the 1980s technology had advanced to the point that Rowland and his team believed all of this could be bypassed and that a new steam design could function very similar to the diesel in this regard. Rowland's team consisted of some of the best names in the business of steam technology including Livio Dante Porta (an Argentine mechanical engineer who studied under noted French steam designer Andre Chapelon), physicist David Berkowitz, Bill Withuhn mentioned above who was also an industrial engineer, the Babcock & Wilcox Company founded in 1867 that helped design the Norfolk & Western's Jawn Henry, Dr. John T. Harding whose background was in physics and who had worked in the FRA's High Speed Ground Transportation program, and more than a dozen other associates with exemplary backgrounds in transportation or related fields. As the team began brainstorming the ACE 3000 concept they ultimately concluded that it was practical and a low-maintenance, economical competitor to the diesel could be built. It was Porta, himself, that drafted the first concept that became known as the original ACE 3000, or Second Generation Steam (SGS) locomotive. The general consensus of the locomotive's design was that it would feature a 2-10-0 wheel arrangement, burn coal, operate at high speeds in freight service (15 to 70 mph), carry a look not unlike a conventional diesel with a semi-streamlined cab design, feature 3,000 nominal drawbar horsepower and 4,000 at its peak (based from the, then standard GP40 series), and use the latest in advanced computer technology to still allow the standard crew size of the day. 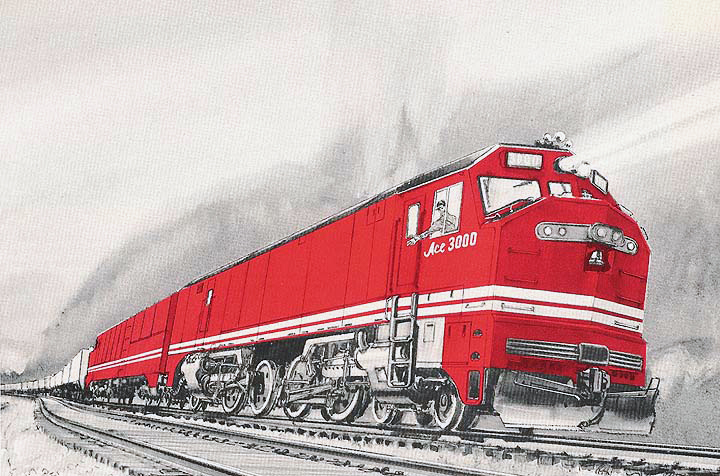 A drawing of the locomotive was done by Gil Reid showing it pulling an intermodal freight at speed and it was from that point interest within the railroad community began to seriously gain traction, at first by Burlington Northern. However, BN was looking for something a little different than Porta's original 2-10-0. Instead, the parties worked together and came up with what was termed the ACE 3000-8, a 4-8-4+4-8-4 trainset that was a double-ended, streamlined design. Between the locomotives the design called for a small car which would be used to haul the coal (similar to a tender). Just like with the original ACE 3000, the 3000-8 would use compound expansion, which offered more efficient applications of steam and water if designed correctly (as believed was possible by the 1980s). 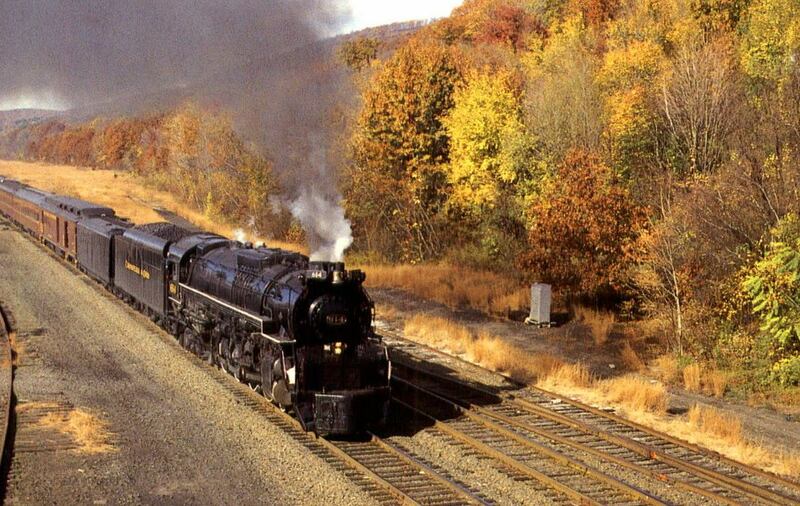 This type of steam technology was first developed in the U.S. in 1904 with the B&O's "Old Maude" 0-6-6-0 #2400. However, most railroads shied away from compound expansion at the time since it was too complicated and offered little advantages over simple expansion. With Burlington Northern's interest growing other major backers began to appear including the C&O/Chessie System and Babcock & Wilcox (B&W). By November of 1982 prototypes were in the works, which were to be ready for service by 1985. Unfortunately, while no one realized it this proved to be the pinnacle of the project. A year later during the spring of 1983 the Coal Oriented Advanced Locomotive Systems (COALS) group was formed with BN, Chessie, and B&W primary stakeholders since ACE simply did not have the resources to fund the multimillion endeavor, which left the company essentially on the outside looking in and only providing the locomotive design itself. As quickly as the project had progressed it fell apart just as rapidly; during the fall of that year it was announced COALS would break up since the parties could not agree on the project's financing. This put the ACE 3000 endeavor back, squarely on the shoulders of Rowland and his team. While they believed a working prototype could sell the new steam technology the small company just did not have the millions of dollars in funding necessary to do so. In any event, Rowland was able to put something on the rails for testing in an effort to gain publicity and hopefully fund the project; his own C&O 4-8-4 #614T. On January 2, 1985 armed with an army of gadgets and technical equipment to gather data concerning the efficiency of the Greenbrier in service it left the C&O main line at Huntington, West Virginia heading east towards Hinton. 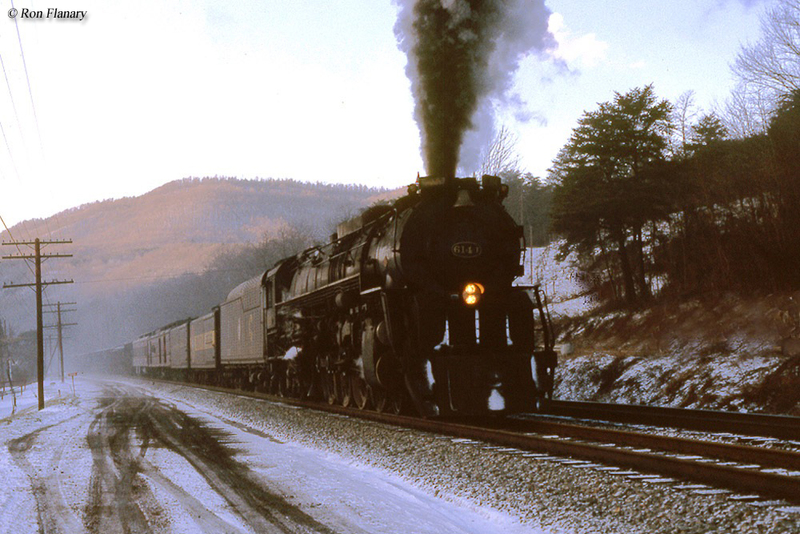 The bitterly cold temperatures during the trials and issues with the #614T made the tests somewhat inconclusive but the big 4-8-4 overall ran relatively well. Ultimately, the results of those trials were never published but Rowland and his team did determine, incredibly, that the steamer used less fuel than a comparable Electro-Motive diesel from that era (the GP40). One of American Coal Enterprises' final designs was the most attractive, visually, referred to as the ACE Mark I or ACE 6000. The locomotive's design was primarily the work of Porta, once again, and it was intended for use in fast-freight service. The steamer was to be a 2-10-2 semi-articulated, double-ended setup capable of producing 6,000 horsepower. With streamlined shrouding the locomotive it actually more closely resembled an EMD locomotive according to an artists' rendition of the design. Further refinements, though, to the Mark I saw it converted into a Garratt configuration (an articulated steamer with three parts whereby the boiler sits between a pair of axles on each end of the locomotive). With this latest change the Chessie System began losing interest in the project, the only remaining railroad still on-board with the concept. By the mid-1980s oil prices had began falling, which sealed the fate of the ACE 3000. Soon after, Chessie pulled the plug of its financial support and having never received public money to finance the concept American Coal Enterprises foundered. It was ultimately never able to put a working prototype into service, which was estimated to cost $1.25 million per unit. The ACE had the data on their side, enough so anyway to at least push forward in producing an example of their concept. However, with limited funds, a small design team, and lack of support/interest from most of the railroad industry they were never able to show the world their idea. Since the 1980s it is said Rowland still hasn't given up on his ACE 3000 project but has also never been able to draw renewed interest.